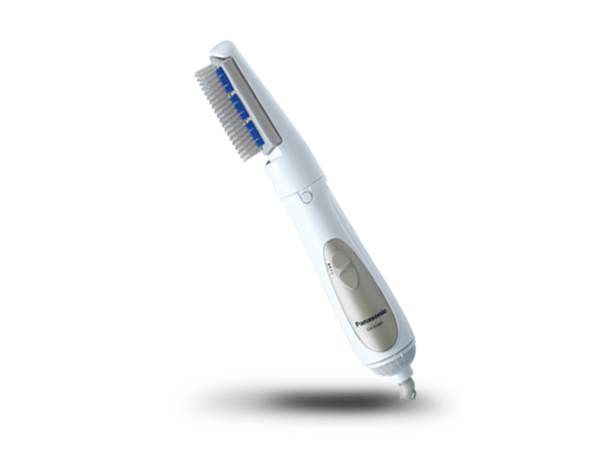 This panasonic hair styler has Silent 59 dB for quiet operation, the styler features an improved internal construction. The dual airflow to regulate airflow a fixed clearance between fan and body, and a high efficiency fan for smooth airflow effectively reduce operation noise. 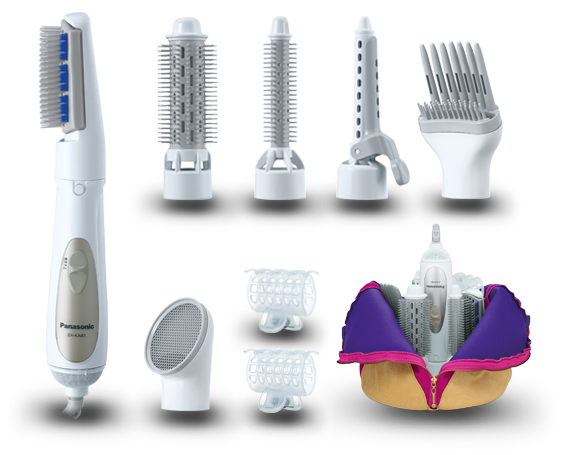 This hair styler comes with 8 Attachments which new tension blow brush, roller brush, slim roller brush, air iron, volume lifter, nozzle, 2 hair clips. This styler has warm air is gently applied by the long, rough blow comb to add volume from the roots up. To Recieve updates and possible rewards for Panasonic EH-KA81 please sign in. To Recieve updates and possible rewards for Hair Styler & Curler please sign in.